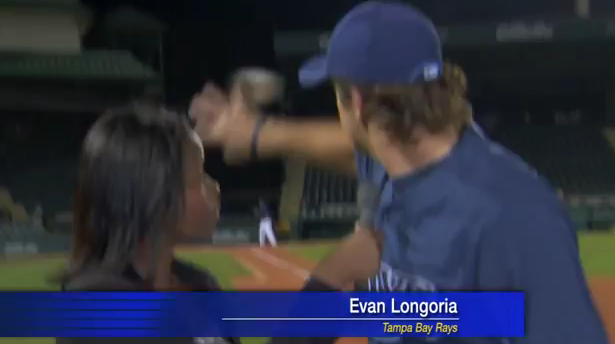 So, I heard everybody talking about this amazing video of Evan Longoria, the Tampa Bay Rays third baseman, saving some woman’s life that was interviewing him. Just insane reaction skills from Longoria. He has real life spidey senses and we, the fans, got to see them in action. Just amazing. Here it is. What’s equally amazing is that any walking, talking functioning human being could possibly believe that this is real. I got two words for you: photoshop. Or whatever the hell the video editing commercial making equivalent is… see those Gillette signs plastered all over the background? Gee… product placement much? Even if it’s not a Gillette commercial, it’s not real. I will say this, if I’m wrong about this, and this video is real… here’s another video that I now have to believe is real. 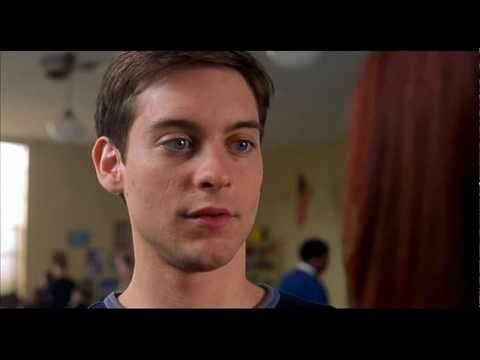 This entry was posted in Baseball, MLB, Movies, News and tagged Baseball, Evan Longoria, Evan Longoria is Spiderman, Gillette, Gillette commercial, MLB, News reporter, Rays, Sideline Interview, Spiderman, Spidey senses, Tampa Bay Rays. Bookmark the permalink.